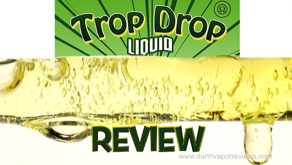 A review of the Trop Drop line from Liquid Labs NJ. 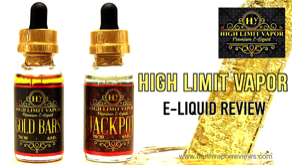 These fruit flavored e-liquids are manufactured in the USA and are available in 60ml bottles in three nicotine levels. 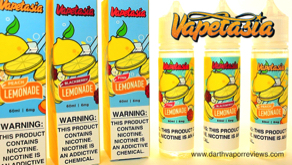 These flavors are 70VG 30PG blends. 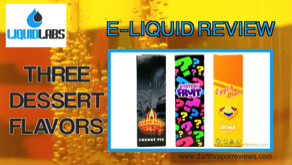 A review of three dessert flavors from the Snack Shack e-liquid line. 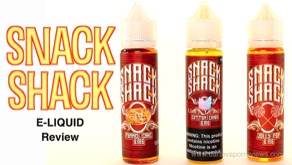 Snack Shack e-liquids are 70vg/30pg blends available in 60ml bottles in 0,3 and 6 milligrams of nicotine. 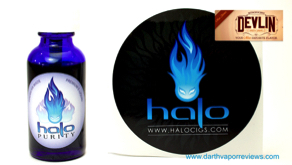 A review of three popular flavors from Liquid Labs NJ. 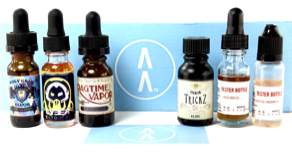 These dessert e-liquids are manufactured in the USA and are available in 60ml bottles in three nicotine levels.